So you guys, we have TWO kids in school! WHAT?! Wasn't I just sharing pregnancy and first birthday parties with you all? 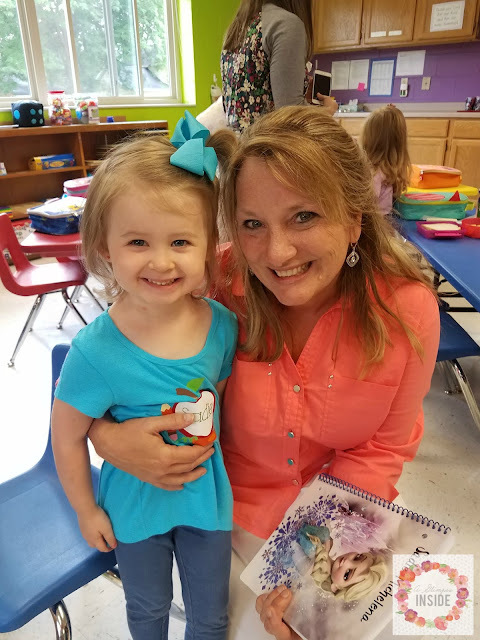 Now Miss S is only in school two days a week for four hours but they are both in school and this momma gets a bit of a break. YAHOOOO!!! 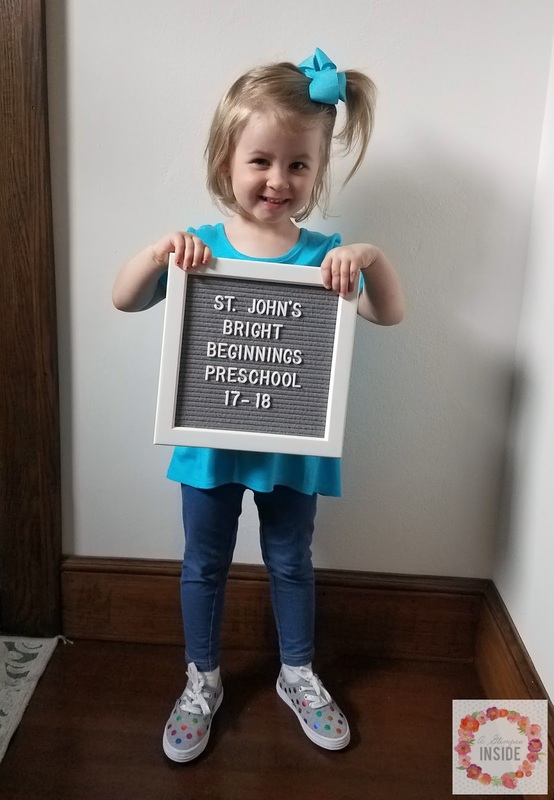 Miss S has been in school for two weeks now but I didn't want to share her first day of school without being able to share Miss P's as well so here you go with both of them. Miss S was so crazy excited for school to start. Ever since the day we went to get her registration forms she asked if she was going to school. Apparently she was way more ready for school than we thought! 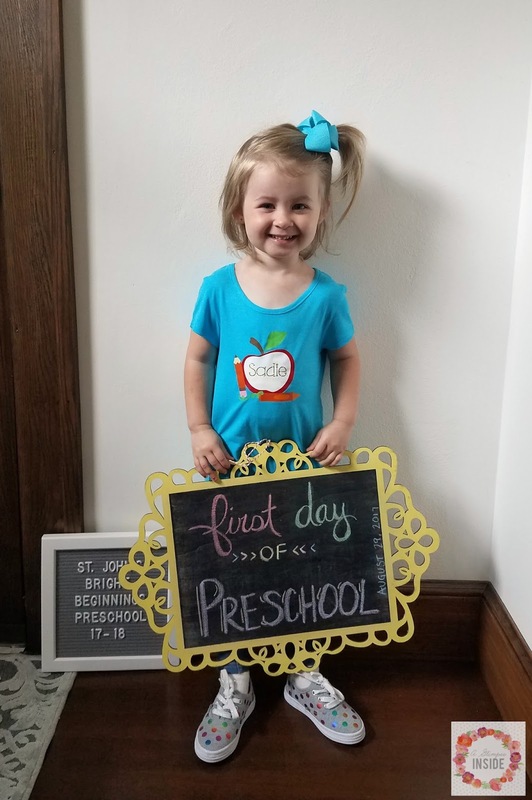 She is attending a private preschool at a local church because her birthday was 2 mths to the day short of the cut off to be in the 4 yr Pre-K program but I think this will be a good start for her. She would go everyday and if I didn't have to pay for it, I totally would put her in but that just isn't going to happen this year. 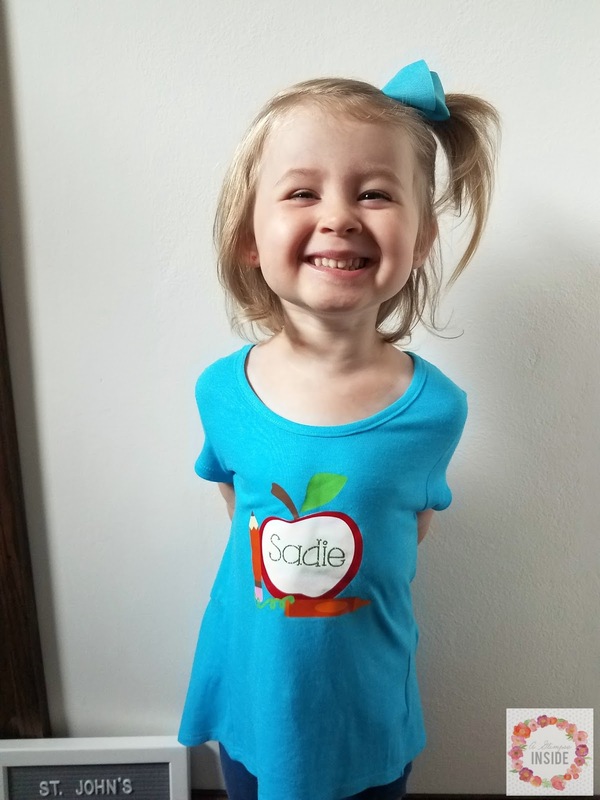 She LOVES going to school and is so excited when Tuesday or Thursday rolls around. 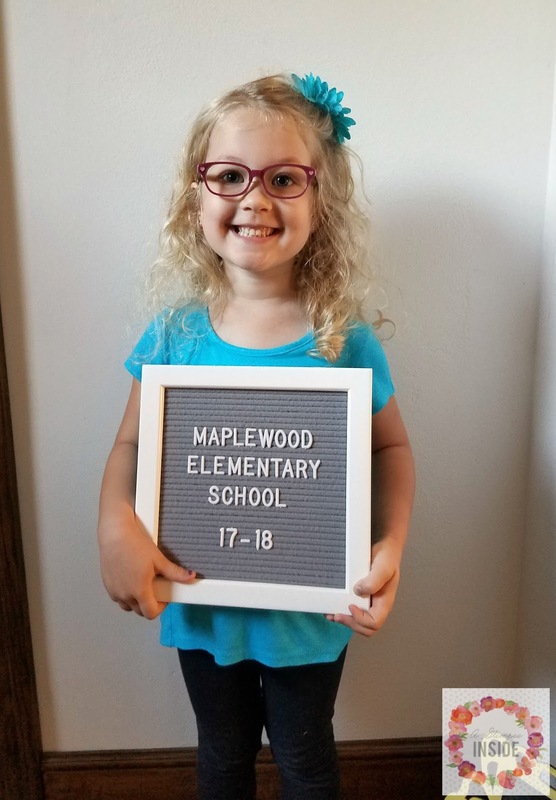 Now onto Miss P. You guys, we officially have a kindergartener! HOLY COW!! I still can't believe she is old enough to be a school aged kid already. 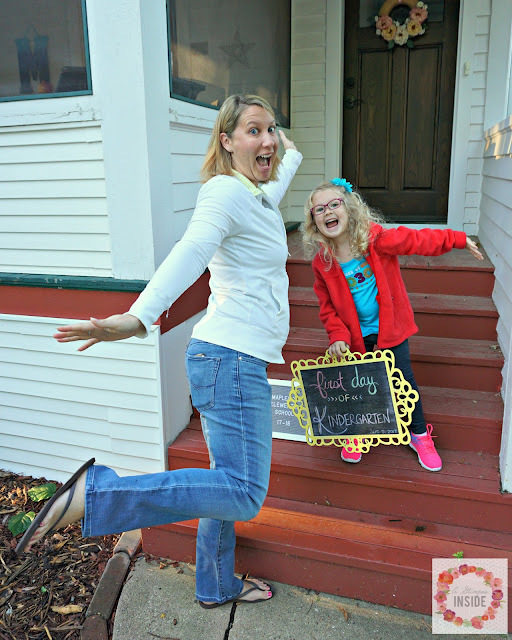 She too was excited for her first day of school. I think she was a little nervous as well but she was so ready to start back up. Her elementary school is right around the corner and we could walk there just like her Pre-K school if we wanted too. 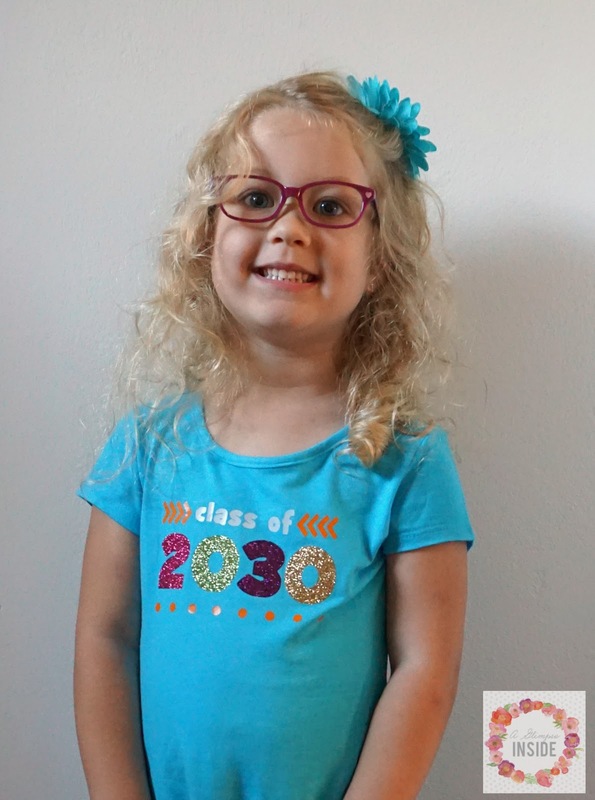 Class of 2030... say what?! My mom made both of the shirts for the girls and it was so crazy seeing this on her shirt! We ended up having to meet her teacher on the first day of school because we had to switch her out of the year round program to the traditional calendar so at registration we met what would have been her teacher if she stayed in year round. 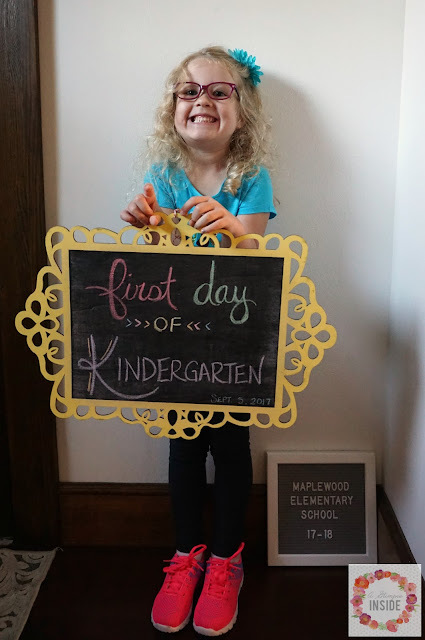 You can tell she was a little nervous once we got to school but luckily she has a few friends from Pre-K in the same school and one or two in her class so I think that helped calm her nerves. I still can't believe we have two kids in school and are so close to two full time school kids. It tugs at my momma's heart but I did well and didn't cry either day. I got a little choked up but no tears fell. 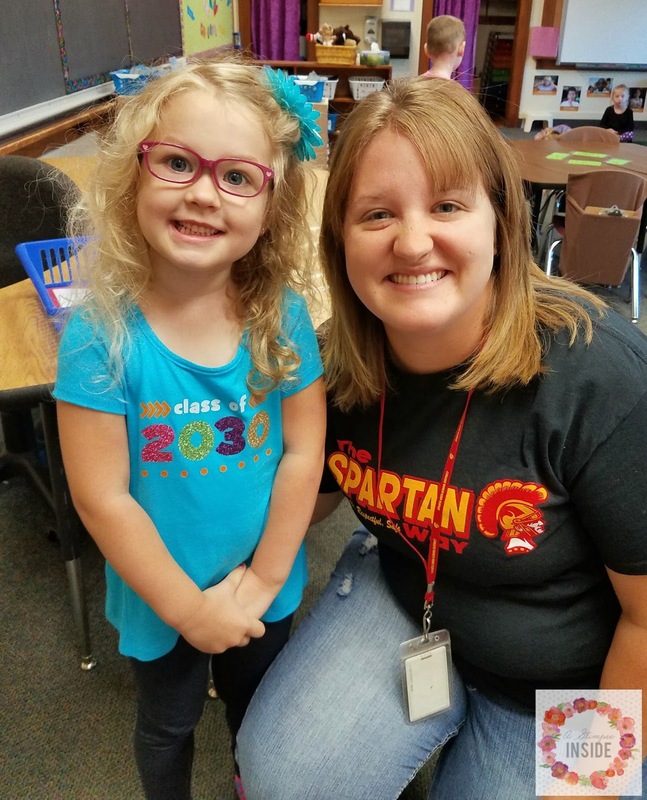 I hope they both have a fantastic year and still love school just as much at the end of it.